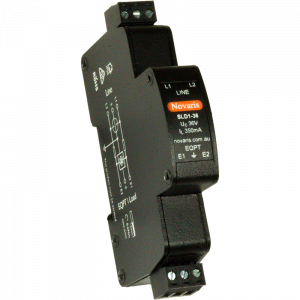 The Novaris SL2 and SLH2 range provides 20kA high energy surge protection for balanced pair signaling circuits, used in a wide range of industrial monitoring and control equipment. Applications include SCADA, PLC, fire and security systems, telecommunications and railway signaling. 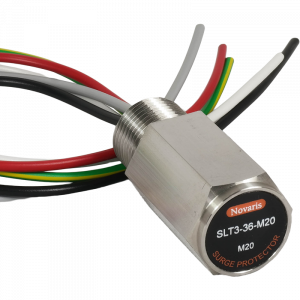 The SL2 is designed for protecting communication circuits with a 3dB of 60Mhz and the SLH2 is designed for instrumentation power circuits requiring up to 2.5A of current.. 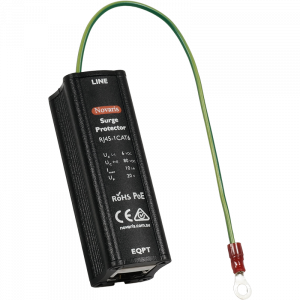 The SL2 and SLH2 range integrates a fault indicator and external alarm connection for surge protection monitoring. They are available with a -EC90 option to isolate the earth connection for protection of field equipment. 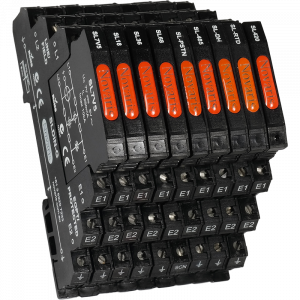 The protection and alarm circuit is contained in a replaceable cartridge to minimise downtime. 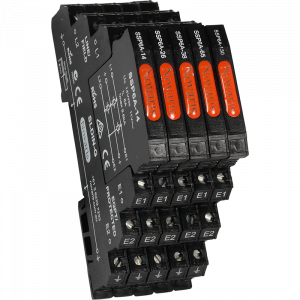 The SSP6A series surge protectors complement the SL range for applications of load currents up to 6A. Typical applications may include power supplies, instrumentation and other low voltage requirements up to 6A. 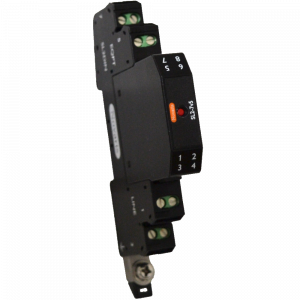 With two different base options the SSP6A protectors offer either direct earthing via DIN rail, for the most effective, low impedance earth connection (-G base) or a connection via GDT to the DIN rail, offering isolation under normal conditions and equipotential bonding during a surge (-EC90 base). The plug-in design provides simple and rapid replacement and testing – no rewiring needed. This also provides a convenient method of field equipment isolation if required. 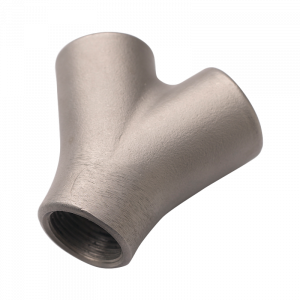 Novaris threaded instrument protectors provide surge protection for instrumentation and are designed to be installed directly at the field equipment providing protection against induced surges and transients. They are suitable for two, three and four wire instruments. SLT models are available for signalling systems up to 200V. SLD Signal Line Protectors are designed to protect the most sensitive electronic equipment in lightning intense environments. So they are ideal for the protection of PLC’s, fire and security systems, railway signalling and SCADA equipment. Models feature multistage transient protection which delivers a greater level of protection through a staged approach. The primary stage absorbs the majority of the surge energy. The remaining stages provide accurate clamping and a degree of redundancy. 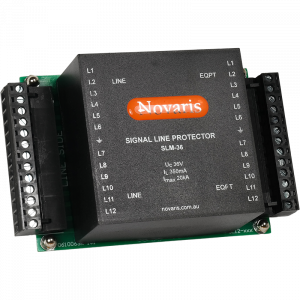 Novaris SLM offers protection for up to 12 signal lines. Each of the 12 lines have the protection referenced to ground making it an excellent choice for parallel signaling busses. Typical applications include process control, telemetry, PLC, and irrigation systems. 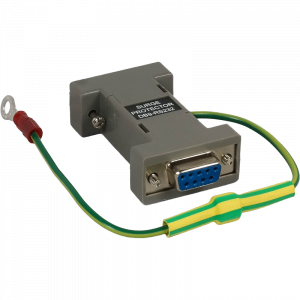 Novaris DB Protectors provide protection for serial protocol systems in RS232 and RS485 applications. These units are housed in a headshell enclosure. The DB Protectors have a 90V earth isolation to prevent ground loops. 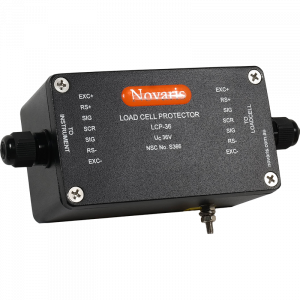 The Novaris LCP provides protection for both 4-wire and 6-wire loadcells as well as the measuring instrument. The LCP is contained within an IP65 enclosure, or alternatively as a PCB only. Installation of the LCP is certified and does not affect weighbridge calibration.